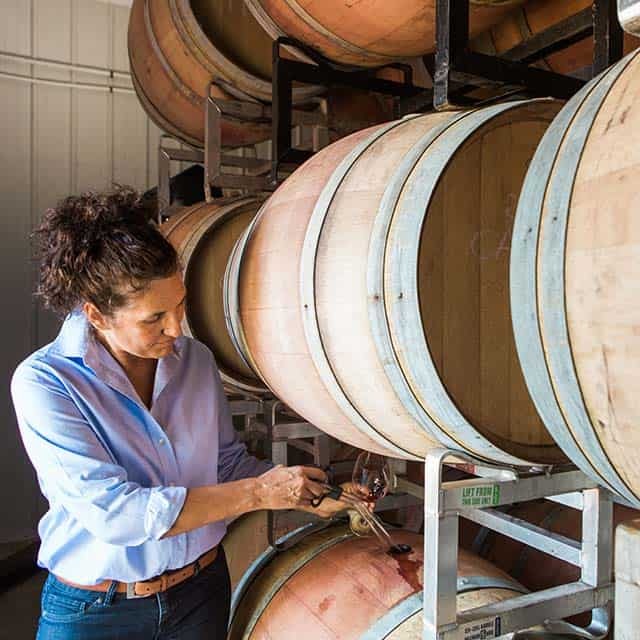 The winemaker is busy all year round. 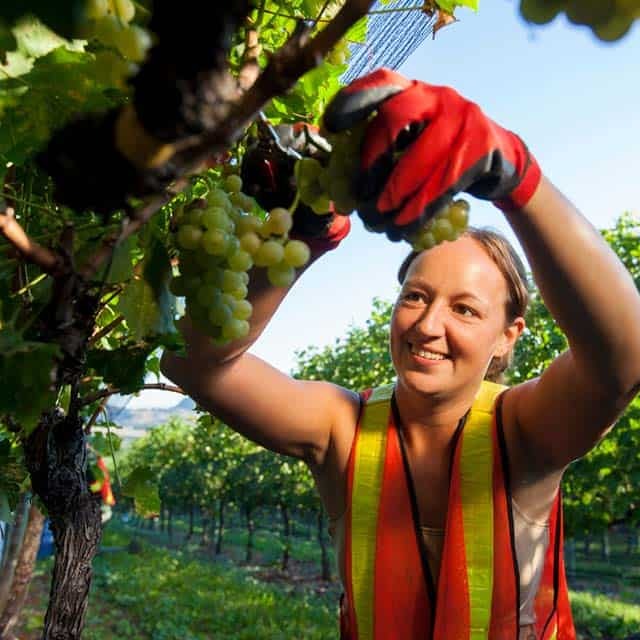 Find out about key jobs in the cellar and out. In most wine producing regions, winter is time for rest. Once harvest is completed, the vines lose their leaves and go into dormancy. Cellars are full of wines resting in tanks or barrel waiting to be bottled. In the vineyard, crews may prune last year’s growth as the grapevines get ready for the new season. Winter also means Icewine! 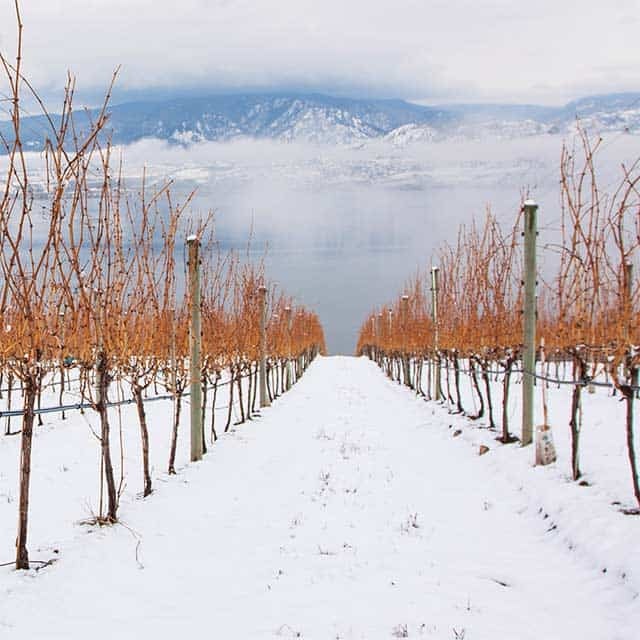 Although winter is a time for rest for most wineries in BC, some ten to 25 wineries each year produce the liquid gold known as Icewine. To make this renowned treat, vintners must wait until the temperatures plunge below -8°C (17.6°F) before they can harvest the frozen grapes. This can happen any time from November to February. To produce this “liquid gold”, grapes are left on the vine until sub-zero temperatures of -8°C (17.6°F) or lower are reached. This typically occurs sometime between November and February. While hanging on the vine, flavours continue to develop and the grapes dehydrate, concentrating the remaining juice. When preparing for an Icewine harvest, grapegrowers and winemakers keep a close eye on the weather. Ideally, they will send their pickers out once the temperatures have sustained -10°C (14°F) or lower for several hours. Because the temperatures are usually coldest at night, Icewine pickers often have the arduous task of harvesting by moonlight. Once picked, the grapes need to remain frozen at a temperature below -8°C (17.6°F) until they are pressed. When the grapes are pressed, the water is left behind as ice and a very small amount of concentrated juice is extracted. On average, Icewine yields only 15% of the expected yield for table wines. The resulting juice is extremely sweet and can be difficult to ferment because of the cold temperatures and high sugar content. 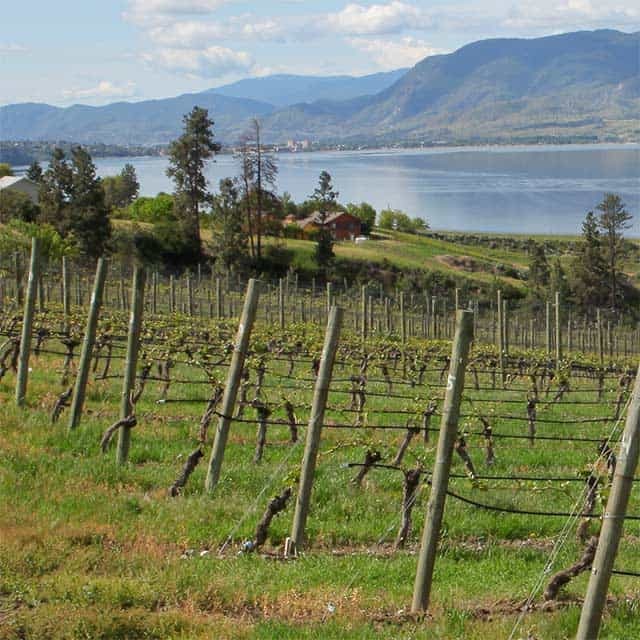 The Wines of Marked Quality Regulation governs the production of BC VQA Icewine. In addition to the temperature regulations (harvesting at or below -8°C), the pressed juice and must is required to have a minimum of 35 Brix (a measurement of sugar). 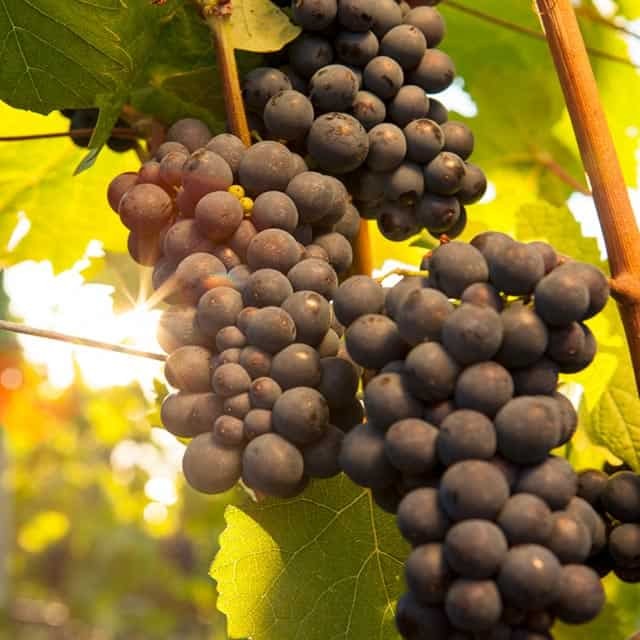 Artificial refrigeration of grapes, juice, must or wine is strictly prohibited. In the spring, the vines begin to wake after their winter hibernation. New leaves form and typically in May the new buds emerge. Budbreak is the start of the annual growing season. Though the weather is warming, the chance of a spring frost is always on the mind of the viticulturists as these new buds would easily be damaged. At the end of spring and into early summer, the grape flowers form and are fertilized. During this time, the weather is critical as poor weather – freezing temperatures, hail, excessive rain – could reduce the fruit-set. In mid-summer, grape clusters appear on the vines and the vine’s canopy is abundant. In order to create optimal conditions for ripening, vineyard staff may start to remove unwanted leaves to allow more exposure to sunlight and drop fruit that did not set properly. It’s time for those grapes to meet their maker! The grapes will continue to hang on the vines until the winemakers and viticulturists determine that they are ready to be harvested, waiting for optimal sugar and phenolic ripeness. Once the grapes are ready, harvest begins! Typically this will begin in mid-September and can last into early November. 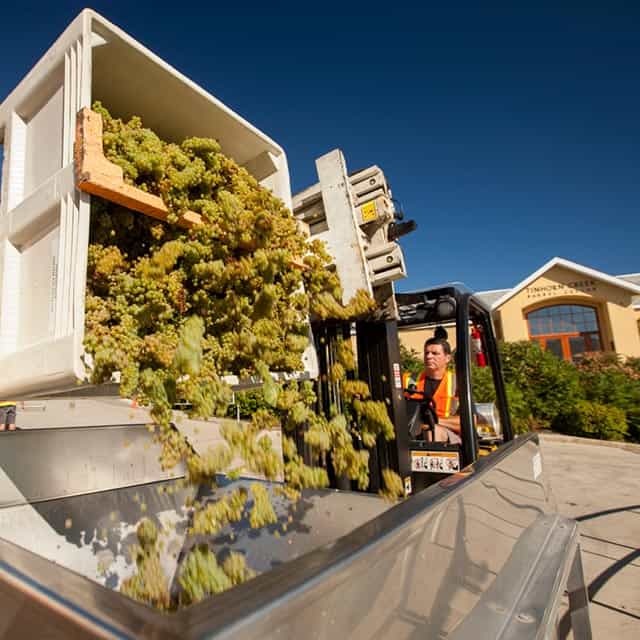 When the grapes arrive at the winery, they are placed in a crusher/destemmer to separate the stems from the fruit and lightly crush the berries. After the stems are separated, they are discarded (most often into a compost pile) while a combination of juice, seeds, pulp and skins (cumulatively known as must) remains. The skins are particularly important when making a red wine as they give colour and impart flavour and tannins. When making a white wine, the skins and seeds spend only a few hours with the juice. The initial juice extracted is called free-run. Skins are pressed to extract all the remaining juice (known as press juice). The free-run and press juices are then filtered in preparation for fermentation. Fermentation is the process by which sugar is converted to alcohol. Yeast is added to the juice to begin the process, which can be in either stainless steel tanks or oak barrels. Sometimes a second fermentation, called malolactic, is initiated to convert the tart malic acid found in fruit to softer lactic acid. This is common for red wines and chardonnay. Fermentation lasts from three days to three weeks, depending on the wine. Once the desired style has been achieved, the wine will be stabilized and filtered prior to bottling. A fining agent (most commonly clay, but sometimes egg white or gelatin) is used to remove large proteins that could cloud the wine and create “off” characteristics. Sometimes a wine will also pass through a filter to further clarify the wine. Sulfites may also be added to prevent oxidation and bacterial spoilage. Most red wines are aged in oak barrels for one to two years, depending on the wine. 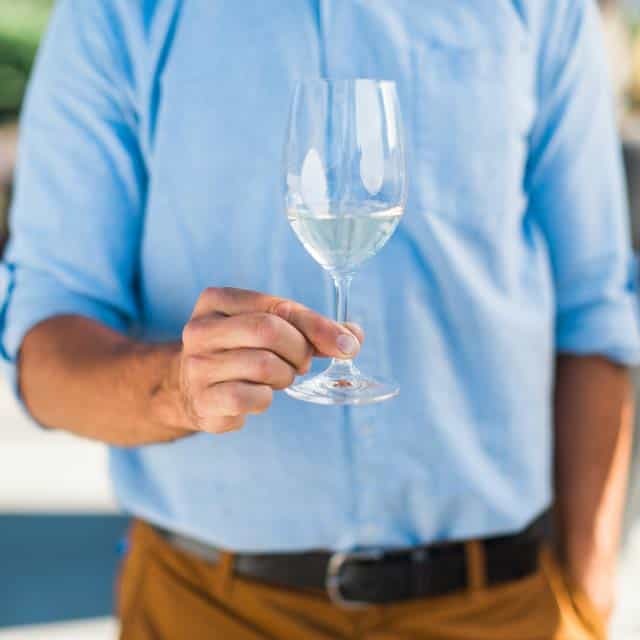 Some white wines also go through an ageing process (commonly heavier wines such as Chardonnay or Pinot Gris) of a few weeks to one year. 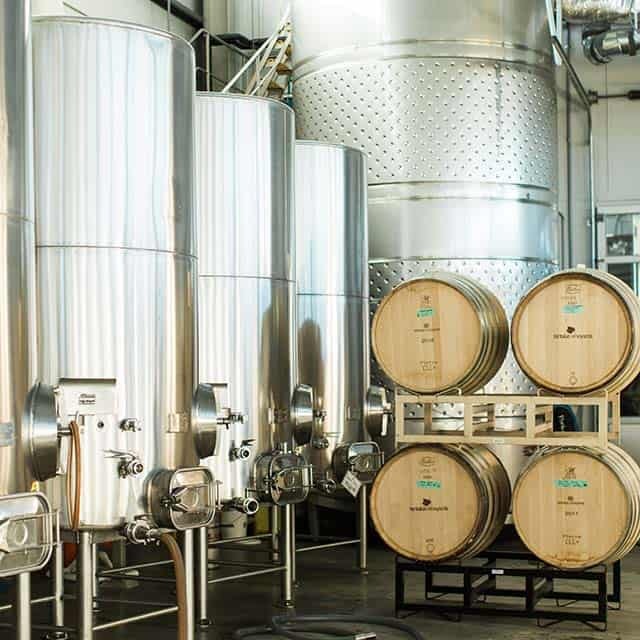 Although ageing in oak is most common, certain wine styles can also be aged in stainless steel. After ageing, the wine may be blended to add different characteristics or create the desired style.